I'm sure most of us have either heard the words, "I'm bored" from a child or remember uttering that same phrase ourselves as children. Barnacle expresses this same sentiment because every day is the same for him. As he sits stuck beneath the pier, the tide comes in and the tide goes out, but he never has any fun like the polka-dotted fish. When a big, green eel with sharp teeth swims by, Barnacle learns a lesson. This is a fun, playful picture book, as the story is told through colorful illustrations and speech bubbles. Readers may be thankful they are bored when they are done reading! The plot of this middle grade chapter book is as strange as the title implies, but I think students will find it fun and entertaining. Dwight has an origami Yoda finger puppet which gives advice to his classmates. Yoda seems to be all-knowing and pretty wise. Tommy is trying to figure out if there is more to Yoda than meets the eye. There is lots of humor in this story, but the characters learn something about themselves, so there is some sweetness to it, as well. This is a series I am going to recommend to my upper elementary readers for their summer reading. Ravi has just moved from India to America and is starting fifth grade. Joe is a student in his fifth grade class, whose best friends have moved, and is often the target for Dillon, the class bully. The book tells about a week in fifth grade as these two boys are trying to navigate a path to fit in and be understood by their classmates. The chapters alternate between the perspective of each of the boys which makes the story interesting to read. There are themes related to cultural differences, bullying, empathy, and friendship. This book made me think of Wonder by R.J. Palacio because of the important message about respecting others' differences. I loved this book because it brings to light some of the issues students in the classroom may be struggling with and some important life lessons about acceptance and kindness. I think this book is a must-read and would make a great classroom read-aloud. I finished this book a few weeks ago and loved it so much that I was inspired to start a virtual book club. The discussion started last week, with the introduction and Chapter One as the focus, so I have been rereading parts of the book. 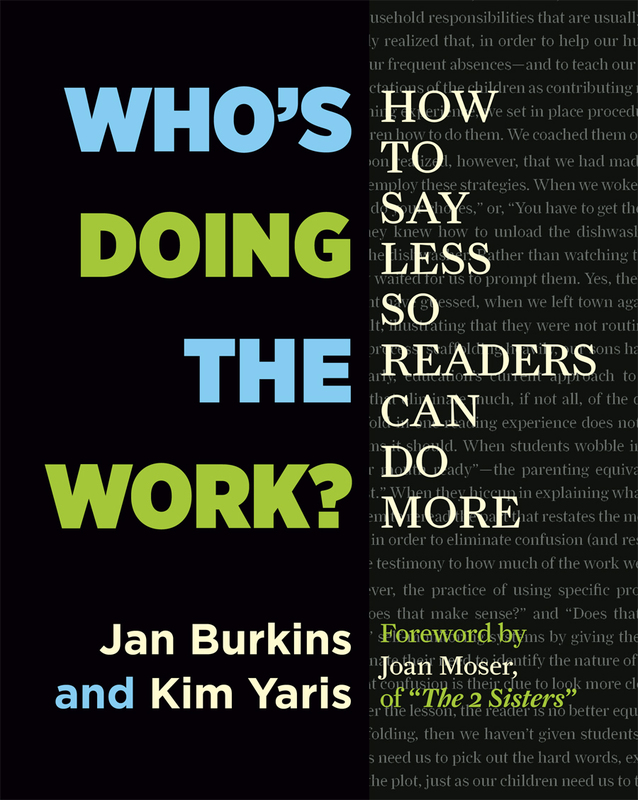 In the introduction, Burkins and Yaris, discuss how our scaffolding may be getting in the way of students' reading because they end up relying on us rather than learning to be independent and make decisions for themselves. From reading posts in the book club and reflecting on my own teaching, there are definitely instructional practices that teachers implement in the best interest of students that could be adjusted to allow students to do more of the heavy lifting so that skills and strategies are more likely to transfer to independent reading. The book provides many ways to do this within common classroom reading contexts - read-aloud, shared reading, guided reading, and independent reading. The ideas are so practical. This week, the book club will be focusing on Chapter Two, which is about read-aloud, so if you are interested in being part of the conversation join the Facebook group page. 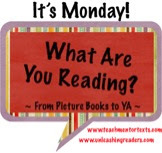 I discussed Origami Yoda with my book club for young readers - it was universally loved. I haven't gotten around to reading the other books in the series though. I was asking some students today who had read others in the series and they said they've enjoyed all of them. I love an engaging series like that. Thanks for sharing some of your thoughts on Who's Doing the Work? I've been interested in this title but not quite sure of the focus. Now that I've read your post, I'm certain it's one I need to read! 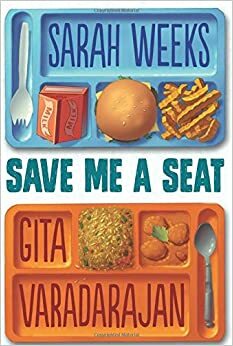 Save Me a Seat sounds wonderful--I'm adding that to my list right now! Who's Doing the Work is definitely thought-provoking and useful. 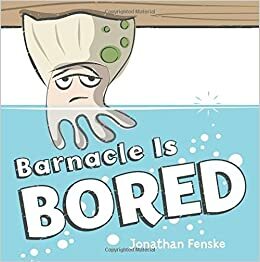 Barnacle Is Bored certainly fits barnacles, so funny, Lisa. I keep seeing how good Save Me A Seat is, will put it on my list! I've never read one of the Origami Yoda books, and have this one. Maybe someday? Thanks! I was asking a class of fifth graders if they were familiar with Origami Yoda and a few were and said they loved it and the other in the series as well. 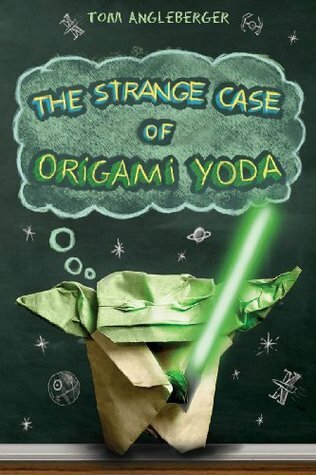 I have seen The Strange Case of Origami Yoda for a while, but haven't read it yet. I love the alternating POVs and motifs in Save Me a Seat. I am putting that one on my list right away. Thanks for the professional book suggestion too. Put that on my list. Glad you got some titles for your list! The kids at my library still love the Origami Yoda series, and I like the fact that the books include instructions for making the different origami characters, which is pretty fun. I actually tried making the origami yoda, but I think I need more practice! I have Who's Doing the Work in my summer reading pile. Glad you enjoyed it. Barnacle is Bored caught my by surprise. I laughed out loud with that one!